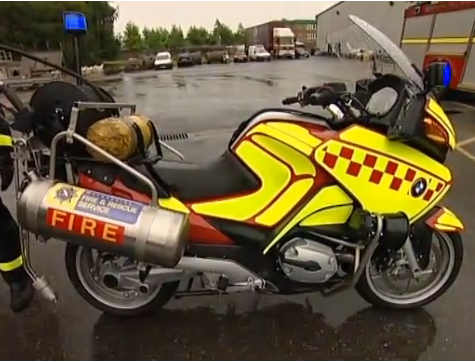 Firefighters in Merseyside are trialling a new type of response vehicle – a BMW motorbike equipped with two 25-litre tanks of water and a 30-metre hosereel. Like the motorbikes used by paramedics, the BMW would be used to allow the fire brigade to make a quicker attendance at small fires, and save full-sized appliances for tackling larger incidents. Too watch a BBC video of the 'fire bike' in action, click here.